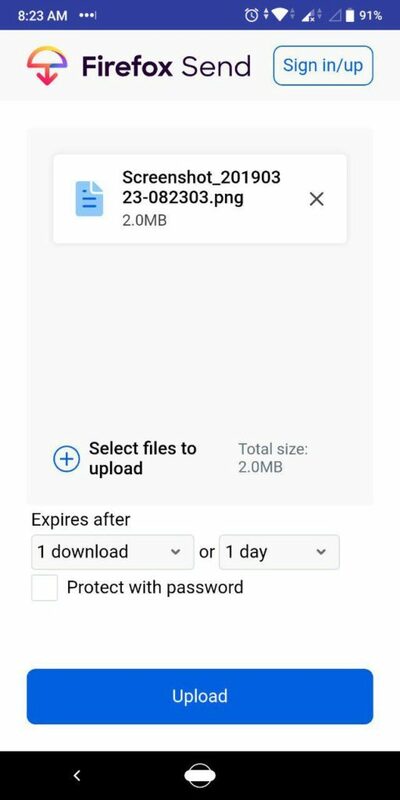 Firefox Send is now available on the Google Play Store. It is a file sharing app, which supports end-to-end encryption. Mozilla is known as a defender of user privacy, one of the reasons, why its browser is one of the most popular ones ever. So, it comes as no surprise that the non-profit organization has brought another privacy-centric app to Android devices. 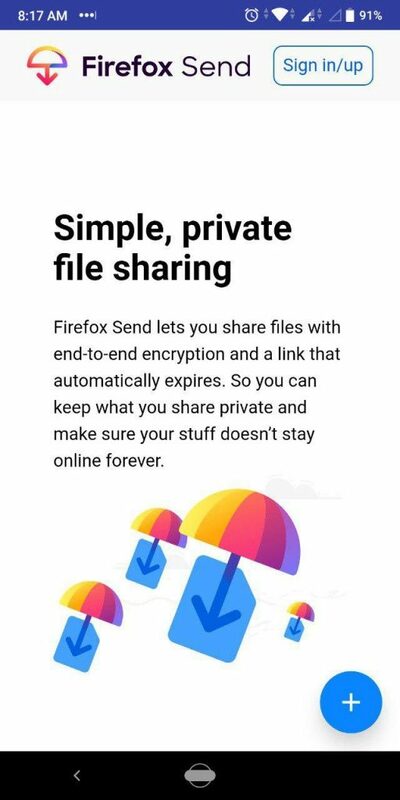 When you send a file using Firefox Send, the app not only encrypts the data during the transfer, the link that is created can be set to automatically expire to prevent misuse of the data. 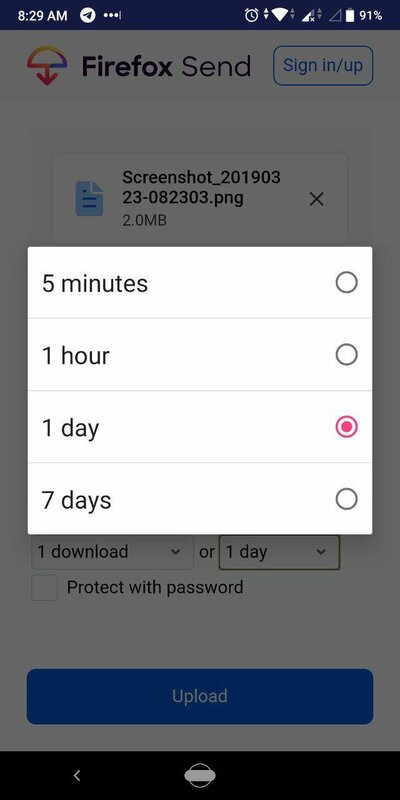 You can choose to set the link expiry based on the number of downloads: 1, 2, 3, 4, 5, 20, 50 or 100, or set a time based limit: 5 minutes, 1 hour, 1 day or 7 days. 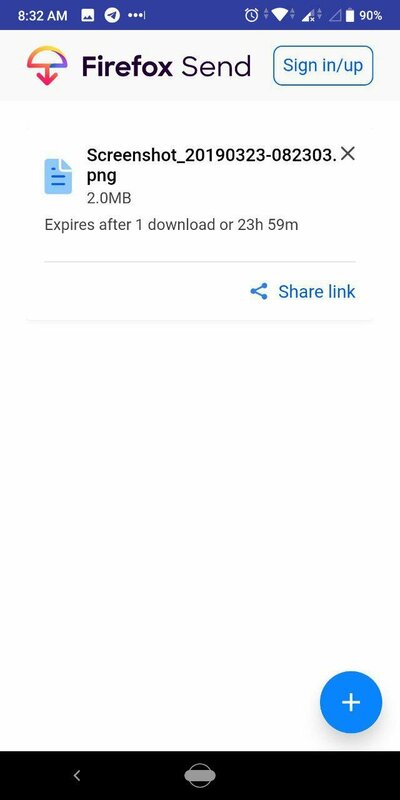 By default, links are set to expire after 1 download or 24 hours. For additional security, you can add a password to the file that you are sending. And yes, you can share multiple files at the same time. Just click the + button on the UI to select the file that you wish to share, and hit upload. 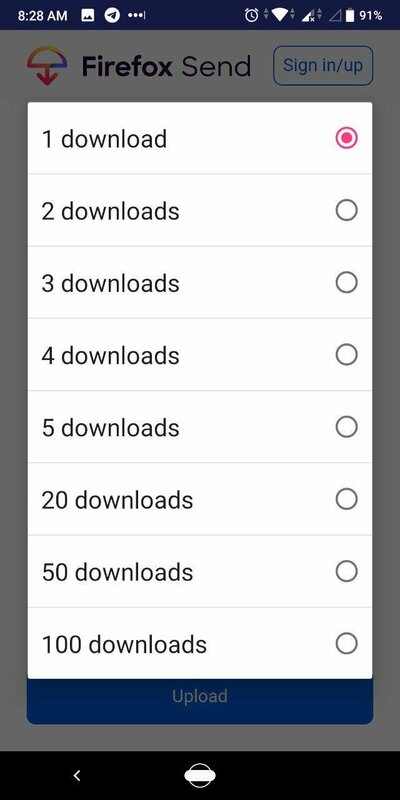 After it is uploaded, the app gives you a link to share. You can copy and paste this link and send it via SMS, IM, email, etc. Here’s the interesting bit. 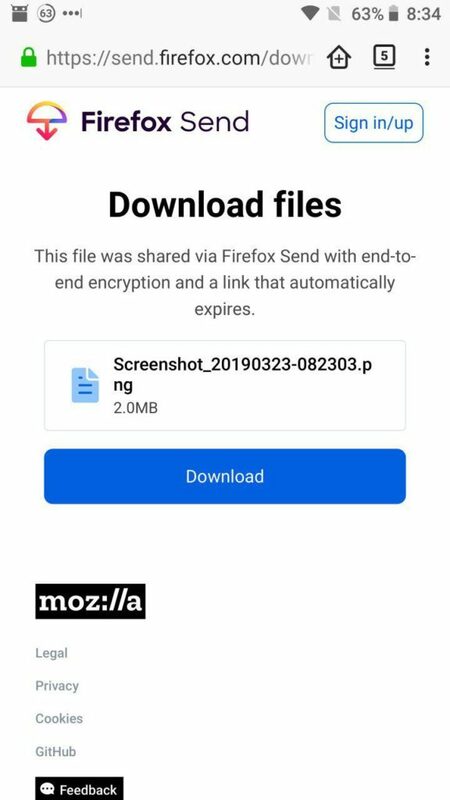 The recipient does not require Firefox Send installed on their device to download the shared file. 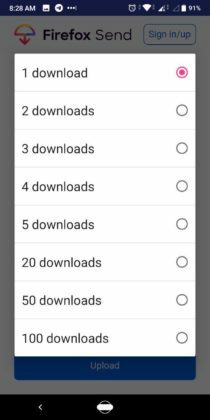 That’s because it is uploaded to Firefox Send’s server, and this makes it cross-platform, i.e., you can share the data to be downloaded via Android, Windows, Linux, etc. And the recipient only needs a web browser to download the file. You can also send files from your desktop browser, from the Send website. 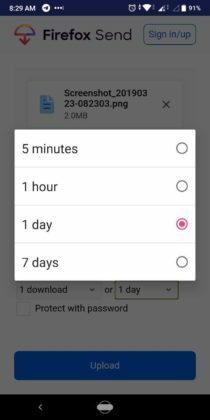 Firefox Send allows you to share files which are up to 1GB in size without signing up. Signing into your Firefox account, lets you to send files which are up to 2.5GB. 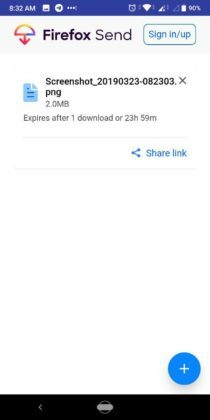 You can download the Send app from Google Play. It is in beta, which is why it is listed as Unreleased. For some reason, the app appears as “Send” in the app drawer, so don’t look for it to be listed as Firefox Send.